Generally speaking, Austria doesn't often come up when discussing European cannabis culture. However, this small German-speaking country nestled in the Northern Alps presents an interesting legal loophole that allows people to legally buy marijuana plants - as long as they don’t have any buds. Amid a growing global trend by governments to decriminalise and legalise drugs, Singapore is standing firm that it will not go down that path. Senior Minister of State (Home Affairs and National Development) Desmond Lee reinforced the country’s zero-tolerance stance against drugs at a United Nations (UN) event in Vienna, Austria, on Tuesday (March 15), speaking at the final negotiations during the 59th session of the Commission on Narcotic Drugs. This meeting comes before April’s UN General Assembly Special Session, a platform for nations to debate the future of global drug policy and review a 10-year global plan started in 2009 against drugs. A mix of excitement and tension was felt yesterday as leaders from 193 U.N. member States, International Organisations, NGOs and drug experts squeezed into a packed hall this morning in the Vienna International Centre to mark the opening of the 59th U.N. Commission on Narcotic Drugs. VIENNA (AP) — Vienna police say they have discovered a plantation with more than 700 marijuana plants at a warehouse close to a police dog center. Police say one of their dogs caught a whiff of the plants in the Austrian capital's Floridsdorf district on Friday morning. Officers then saw a man taking a hose into the warehouse and searched the premises, finding 734 cannabis plants. They said in a statement Saturday they also found 32 sacks stuffed with deep-frozen marijuana and a bag full of dried marijuana at the 27-year-old suspect's apartment. Police say the man is denying wrongdoing. Spokesman Roman Hahslinger told the Austria Press Agency the suspect comes from outside Vienna and might not have known that a police facility was nearby. One almost never sees potent cannabis plants flowering in public and while this was a common sight almost everywhere only 80 years ago, it is now banned in most corners of the earth. 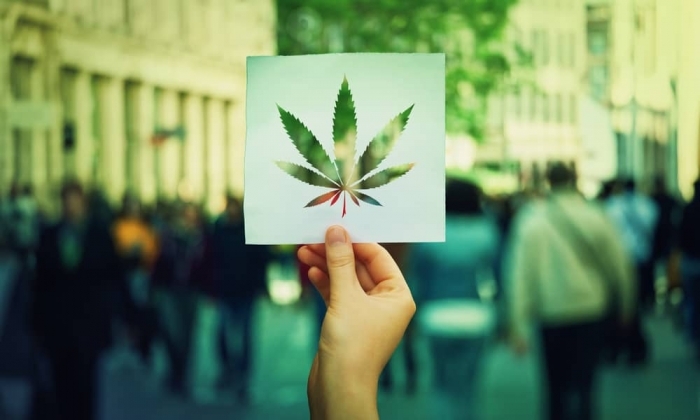 Until recently, the Hash Marihuana & Hemp Museums in Amsterdam and Barcelona, the Cannabis College in Amsterdam, the Hemp Museum in Berlin, and the Museo Della Civilta Contadina in Bologna were the only places in the world either solely devoted to the heyday of cannabis, or actually permitted to display real cannabis plants. MEDFORD — A German prison was the last place Alex Rogers expected to find himself shortly after marrying his Slovenian bride. Three weeks earlier, on Dec. 19, 2005, the Ashland resident was in Medford, where he had married Tina Rogers. Gathered around him at the family home were his parents, Hank and Charlotte Rogers, and his sister, Paige, who was attending Princeton University. Retired Judge Ray White performed the ceremony. The couple returned to Europe and landed Jan. 13, 2006, in Salzburg, Austria, where authorities arrested Rogers on an international warrant related to the sale of 50 pounds of marijuana a couple of years earlier. It was Friday the 13th.